The best of the best chardonnay grapes hail from the cool Carneros and warmer St. Helena. Ralf Holdenried, winemaker at William Hill Estate in northern California, knows how to select grapes from the best sources and turn it into gold. Gold chardonnay, that is. 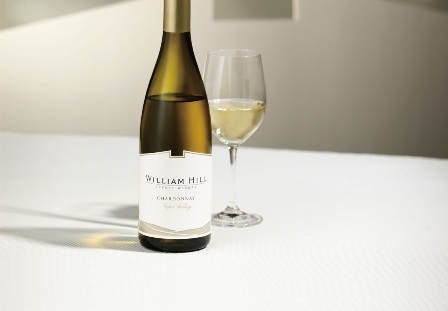 When I selected a bottle of William Hill’s flagship 2012 Napa Valley Chardonnay to taste, I decided to incorporate it into a recipe I was making, and to use the rest as my beverage for the evening. My point being, you don’t have to use white wine gone bad, or white wine you don’t care for in recipes. Use what you love so that you can fully taste what you deserve: the best. Creamy with rich character in a silky fruit mix with baked apple, caramel and toasted spices, this chardonnay is a winner. You’ll want to savor each sip once you open a bottle, priced at $25. Bring the basic gravy to a simmer, then whisk in Napa Valley Chardonnay, notice that it will thin considerably. Add bay leaves, garlic, and chopped sage. Season to taste Simmer on low heat until desired consistency. Serve with the rich flavors found in our Brioche Dressing and a glass of William Hill Estate Napa Valley Chardonnay. For more recipes, including the Basic Gravy recipe, visit www.WilliamHillEstate.com.